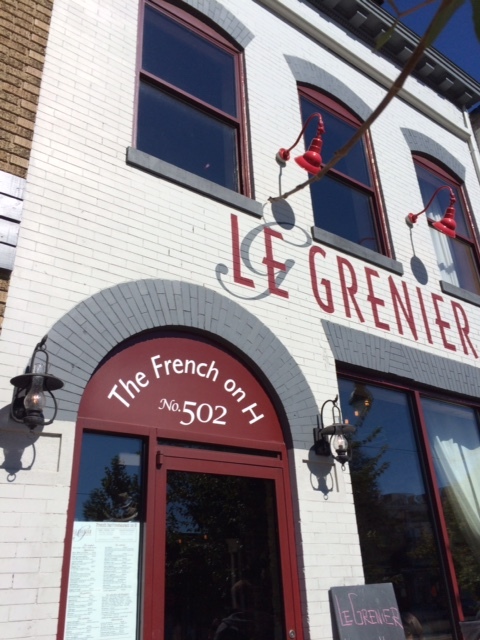 Just when I thought it was safe to walk down H Street NE, Le Grenier opened! Now, I am just steps away from some of my favorite French indulgences. My Kir Royal! My Coq au Vin! Oh, and my Croque Monsieur! All of my lovelies are minutes away. Pray for me. The French on H featuring classics and few new twists. (not shown because it was gobbled up too quickly) . Hello, old friend. 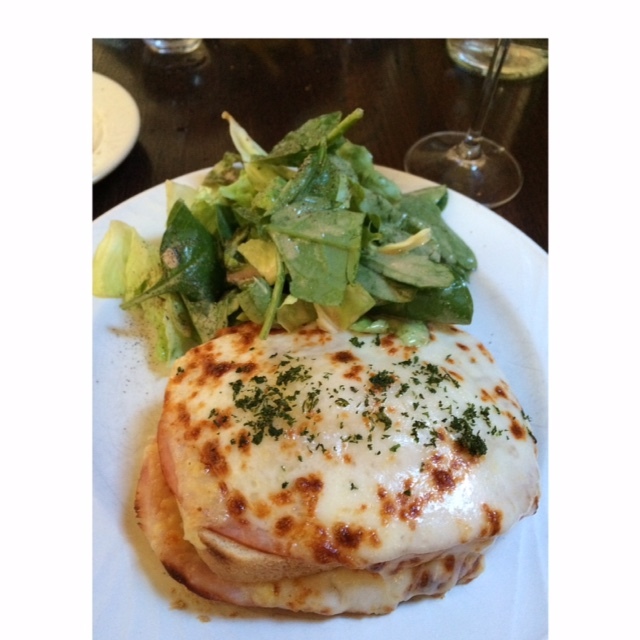 Gooey lovely Croque Monsieur. Wow, that just might tempt we to venture to the big city one of these days. Wow, that just might tempt me to venture into the big city one of these days.